WHY CHOOSE OUR BCMRUN WATER DOODLE MAGIC MATS? Categories: Arts and Crafts, Drawing and Writing Boards, Magnetic and Mechanical Drawing Boards, Toy Types, Toys, Toys and Games. 1.Just add water to the pens and start writing or drawing on the mat. When the mat dries the doodle vanishes like magic. 3. Easy to store.Roll it,fold it,and take it to go.It is easy to convenient storage,at me or on the go. 4.Co-friendly and secure for kids,a wonderful gift for kids. 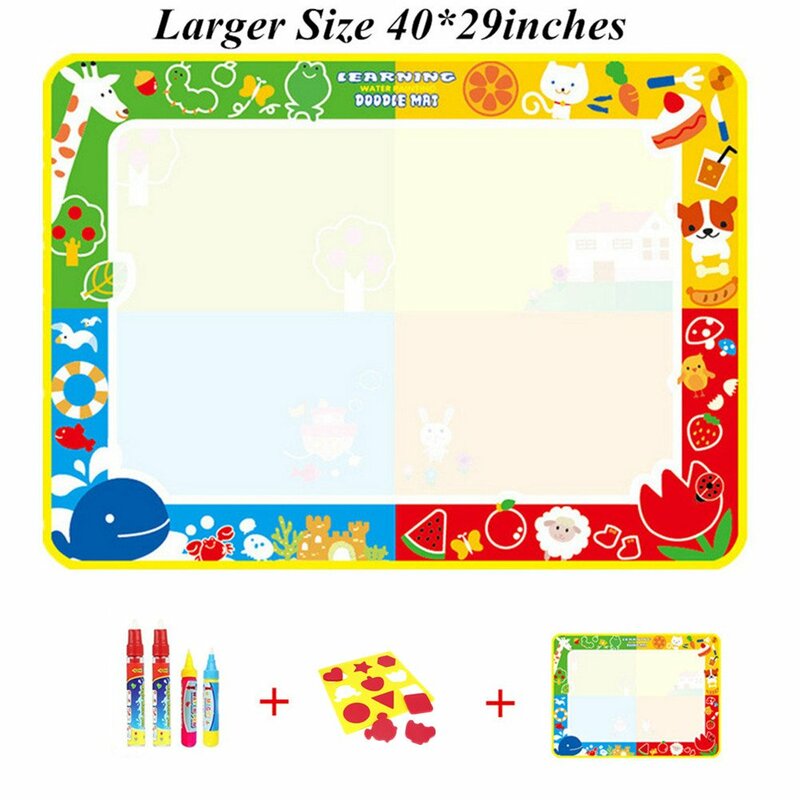 6.Stylish designed drawing board toy,excellent quality and reasonable. 7.Funny and interesting toys,Kids will have plenty of fun playing with these toys. 8.Stylish design: Mess free, colourful,creative fun! Kids will enjoy hours of fun with the water filled pen revealing colours and shapes on the Aquadoodle mats,then watching their doodles magically fade away to start far and wide again! The portable mats mean that this creative fun may also be had anywhere! 9.Nice gift for 3-7 Years Baby. Put the pen into the water for 2~3 hours before use,in a different way the pen may drip. Our products have been tested, if any problem, please contact us at the first time so that we will be able to supply the most productive service for you. SAFETY.With water painting, secure and environmentally friendly,it’ll never contaminate the baby and its surroundings, not to worry about sharp head injury to the baby.Avoid to eat it by mistake, the Doodle Painting Pens are designed without a cap. To be had for two the children who is 18 months+ share it at one time for drawing.